Online monitoring service TVEyes will no longer offer subscribers to its $500-a-month service video clips from Fox News programs, both companies said in court papers filed late last week. TVEyes agreed to stop offering the material in order to settle a copyright infringement claim by Fox, which alleged its content was being used without authorization. The agreement comes around six weeks after the U.S. Supreme Court rejected TVEyes' request to decide whether its service infringed copyright. The battle dates to 2013, when Fox sued TVEyes over its service -- which is used by journalists, the White House, politicians and the U.S. military, among others. 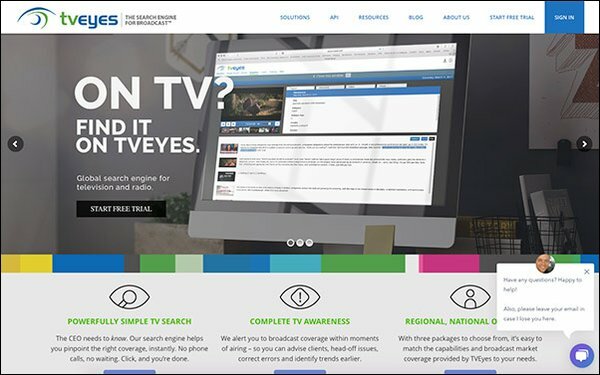 TVEyes records and indexes news programs from 1,400 stations, and allows subscribers to search for news clips by keywords and access portions of the shows. U.S. District Court Judge Alvin Hellerstein in Manhattan issued a mixed decision. He ruled that TVEyes makes fair use of Fox's material by indexing its news clips and providing snippets of them to subscribers, but that other TVEyes' services infringed copyright. Both companies then appealed to the 2nd Circuit Court of Appeals in New York. A three-judge panel of that court sided with Fox, ruling that TVEyes' service isn't protected by fair use principles. Fox News argued its ability to market clips was being thwarted by TVEyes. TVEyes countered that its service was protected by fair use principles because it's "transformative" -- offering subscribers the ability to analyze different companies' approach to the news. The appellate court ruled that TVEyes' service was transformative, but nonetheless infringed copyright by harming Fox's ability to monetize content. TVEyes unsuccessfully sought to appeal the ruling to the Supreme Court. The company contended that Fox News shouldn't be able to "unilaterally remove its broadcasts” from TVEyes' research database. TVEyes' request was supported by groups including the Wikimedia Foundation and digital rights organization Electronic Frontier Foundation, which argued that researchers and media critics need the kind of comprehensive database of TV news programs that TVEyes offered.